Specially-made Jewish head-covering embroidered with Frank Sinatra's name and which belonged to late singer sells for $9,375. A hand-crocheted yarmulke that once belonged to Frank Sinatra sold at auction for nearly $10,000. 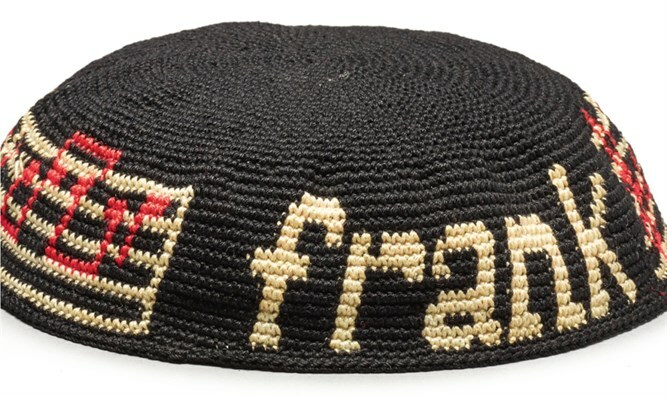 The black kippah, with musical notes and “Frank” decorating its border, was auctioned off by Sotheby’s on Dec. 6 in New York as part its sale of items belonging to the estate of the singer’s late wife, Barbara. The yarmulke sold for $9,375, shattering its original estimate of $200-$400.